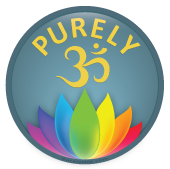 The Third Eye chakra is known as the control centre because it focuses on cultivating a strong and independent mind. It contains the mental applications we need for creating happy and wholesome lives. It is usually fully activated in our mid-thirties when we have accrued some life experience to weigh against the ideas we ingested at an early age. If there has been psychological arrestment due to familial or cultural suppression, this chakra will struggle to work effectively against these mental constraints.